SAN ANGELO, TX – Three suspects have been indicted after shooting a man, taking his money and fleeing to San Antonio. On Jan. 13, San Angelo Police Department investigators went to San Angelo Community Medical Center to meet with a man who had been shot. When they arrived the victim informed them that he had been shot by a friend he had met in prison named "Trixy." He then showed the officers a Facebook picture of the man by the name of "Threesixty Dboii," and the police knew the man as 19-year-old Dathan Knight. The victim told police that Knight had invited him to the house on the 200 block of Laguna Verde Street to "chill." According to an affidavit, the victim and knight got into an argument once at the house and then a physical fight occurred. The victim punched Knight which knocked him to the ground. Knight then got back up to punch the victim but the victim knocked him to the ground again. This is when "Trixy" pulled out a pistol he had in his waistband and shot the victim. The victim received gunshot wounds in his hand, chest, and buttocks. The officer then went to the house where the shooting had taken place at and they found a trail of blood coming from inside the house trailing to the back yard. They met with a Juan Gomez, 21, who at the time was thought to be a victim due to his arm being grazed by a bullet. They then determined that he was also involved with the shooting after reading Facebook messages between the two where Knight asked to use Gomez's house in exchange for him getting some of the money they get from the victim. On Jan. 14 SAPD officers began the search to find Knight and it took them until the 23rd before he was found inside a motel in San Antonio. Officers then interviewed with Knight on the 28th where he admitted to shooting the victim as well as taking all the money out of his left pocket. Knight then told police that Juan Gomez was also there to intimidate the victim. Gomez was then arrested and interviewed where he released even more information. Gomez told officials that that Joseph Key, 19, was also there and played a big role in the robbery. According to the affidavit, Key had a taser and demanded that the victim tell him how much money you have. Key also used his taser after the victim punched Knight. 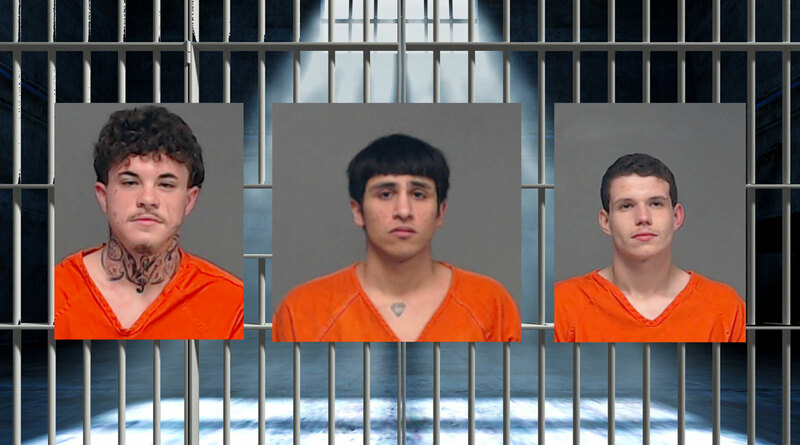 The three have been indicted for Aggravated Robbery. ..and a fight ensues. Who walks away unscathed? Please learn to write. Seriously. Don't delete my rant. Delete your article and do a re-write.